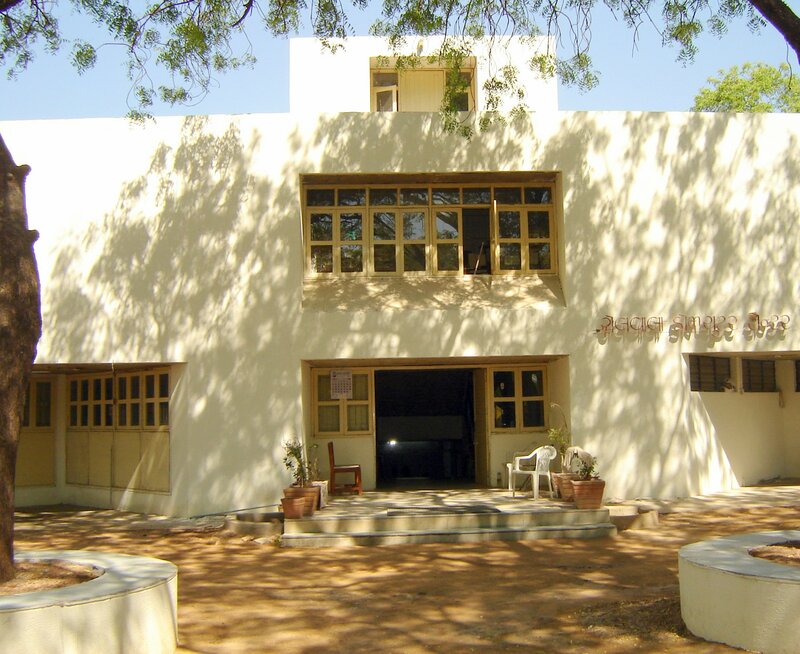 The Department of Computer Science, Gujarat University, housed at Rollwala Computer Centre was founded in 1982, amidst the scenic surroundings of the University Campus. The institute remains the dream destination of the students aspiring for a career in the field of Information Technology. The mission of this department is to usher in era of quality software professionalism relevant and useful to the industry, business and other organization. The basic purpose of this MCA program is to expose the students to the real world issues, encourage them to pursue the course that fits one�s career goals and prepare them to prove themselves in any national/international scenario. Doctor of Philosophy (Ph.D.) since 1982 . 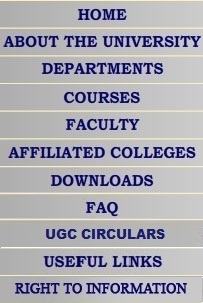 PG Diploma in Computer Science and Applications (PGDCSA) since 1982. � Master of Computer Applications (MCA) since 1988 . Our aim has always been to focus on the human dimension. The Department brings us together with exceptionally supportive faculty members, students and alumni. The faculty aims to inculcate in the students a culture characterized by integrity, mutual respect, enthusiasm and hard work. The students cooperate and compete to acquire a thorough knowledge of today's computer technology and to carve a niche for themselves in the IT industry. The alumni of the institute are very well placed in India and abroad. Many hold senior positions in major corporations and some are also successful entrepreneurs. They have contributed significantly in all the areas of Information Technology and have proved to be an invaluable asset to their respective organizations. They offer their insights and experiences to students of the Department and share career advice through formal and informal exchanges. The Laboratory at Department functions in a fully networked environment providing the students every software and hardware facility over a computing power that range from PCs to Minicomputers. The students have free access to a 64 kbps Leased line Internet connection right from morning till night. The student of Department have access to a well-stocked library, which comprises of extensive collection of computer related books and periodicals, over and above the Central Library of the University .The collection of books is updated periodically, as and when required. Department of Computer Science , Gujarat University is one of of the earliest in Gujarat to introduce Ph.D Programme. Currently there are two recognized Ph.D. Guides in Gujarat University in the subject of Computer Science. Both the guides are from the Department of Computer Science, Gujarat University. Many scholars are pursuing the research under them. The department organized teachers training program on �Network Security� during March 27-29, 2006 under U.G.C. unassigned grant. 30 teachers from different B.C.A. and M.C.A. colleges participated in this training program. The program was jointly inaugurated by Dr. Nita Shah (Director, G.I.L.) and Prof. M.N. Patel (Principal, L.D. College of Engg.). Dr. Savita Gandhi, Dr. Jyoti Pareek, Ms. Flavia Lobo, Mr. Hiren Joshi, Mr. Hardik Joshi delivered lectures as internal resource person and Prof. Bhushan Trivedi (Professor, GLS), Prof. Buddhev (Professor, L.D. College of Engg. ), Mr. Saumil Shah (C.E.O., NetSquare Co.), Mr. Harshal Arolkar(Asst. Professor, GLS) were invited to deliver lectures as external resource persons. The topics covered in this program were broadly classified into �Cryptography, Public Key Infrastructure, Authentication and Security Standards�. Ms. Shaily Majmudar anchored this program. Finally, the certificates of participation were presented by Shri. R.P. Soni (Director, GLS). In the month of March and April, 3 different companies came for campus placements for the M.C.A. 4th Semester students, who will pass out in July 2007, of which 6 students were selected in T.C.S., 5 students were selected in Impetus and 2 were selected in P.C.S. The salary offered is approximately 20,000 per month. With this nearly 45% of students are placed successfully. The dept. is expecting 100% placements in the near future. Dr. Jyoti Pareek is actively working as a placement co-ordinator. Dr. Savita Gandhi presented a paper entitled �Automorphic Numbers� at 5th International Hawaii Conference on Mathematics, Statistics and Related Fields held at Honululu, Hawaii Islands � U.S.A. in the month of January 2006. Ms. Flavia Lobo and Mr. Hardik Joshi participated in a 2-day workshop on 17th and 18th March, conducted by I.I.T. � Bombay. The title of the workshop was �New Frontiers in Database Research�. Mr. Hardik Joshi participated in a one-day National workshop on �Data Mining� conducted by the Dept. of Computer Sc. � Saurashtra University on 23rd of April 2007. Dr. Savita Gandhi presented a paper in Gujarat Science Congress held on 26th March, 2007 at Ahmedabad. The paper is titled �Divisibility of (a2 + 1) by p�. Dr. Savita Gandhi in Nirma University for Student Paper and Poster Presentation. Dr. Jyoti Pareek in Nirma University in Preyoance � Poster Presentation. � Dr. Jyoti Pareek in GLS �Technofest� � Paper Presentation. � Mr. Sanket Shah (student of first year M.C.A.) presented a paper entitled �Telecommunications � call tracing and analyzing application� in �Student white paper contest� arranged by Patni Consultancy Services in March April 2006, which was selected among best 10 papers out of 150 contributed papers throughout Gujarat State. � Mr. Sajith Nair (MCA-VI) won the first prize in Minakshi Lalit Science Award In Computer science, Instituted by Gujarat Science Academy , for two consecutive years (2003-2004 and 2004-2005). � Paper of Mr. Vikas bansali and Mr. Akash Shekhar ( students of MCA-IV), got selected (as one of the best four papers) for oral presentation in the PG category in Twelfth International Conference on Advanced Computing �ADCOM 2004� organized jointly by ACS(Advanced Computing and Communications Society) , IEEE, Gujarat Section and CSI Ahmedabad chapter. � Mr. Hemal Shah , student of MCA-IV, presented the paper in National Level Technical symposium and Student Paper Contest NTSSPC3CT-04 organized by CSI Ahmedabad Chapter held in March 2004. � Students team Reached the third round in the Microsoft international students project competition Imagine Cup in the year 2001-2002 & 2003-2004. � Mr. Anshul Namjoshi and Mr. Pratik Jain , MCA students , won second prize at the programming contest organized by DDIT Nadiad in 2001. � Ms. Nidhi Shah , student of MCA-IV, became Microsoft Students Champ, and participated in various seminars to get trained for organizing Microsoft students seminar and other activities. � No of students along with the faculty members have become member of IBM LINUX Club. � Students have won for many years the general Quiz Contest organized by the Rotary club and have received the trophy for the same. � In the current academic year students organized Volley-Ball tournament. Two teams from MCA-I and two teams from MCA-III participated in the tournament. � Students have also started a puzzle corner, where every week one or two puzzles are displayed and solutions are invited from the students. Student who gives the best answer is declared the winner at the end of the week and correct solutions are displayed. The placement activities at the institute are coordinated by a placement committee comprising of representative from amongst the students and placement officer of the institute. This committee acts as an interface between the organization and the students.